Adapted from an 18th C. model, this serving table features three drawers. The entire frame of this piece is constructed using wood-pegged mortise-and-tenon joints. 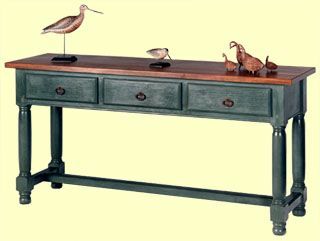 The thick hand-planed top and substantial legs are outstanding features of this piece.